From illness and involuntary unemployment, to death and disability, an extraordinary number of events can challenge a family’s ability to meet its financial obligations. Today’s borrowers take out larger loans for longer terms – and they seek the peace of mind should they suffer an unexpected life-changing event. Debt cancellation, often called debt protection, is an innovative way for a financial institution to provide this protection. The flexible debt cancellation program offered by Evans, Simpson & Associates enables lenders to customize protection to their borrower’s specific needs. Cover all loan types; we offer products designed specifically for credit cards and consumer, home equity, mortgage, direct and indirect auto, and business loans. And since debt cancellation is not an insurance product, administration is simplified and no licensing is required. ESA will help you develop a well-designed debt cancellation program that benefits your financial institution and its borrowers. 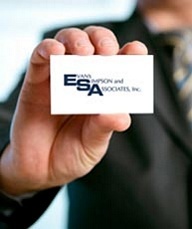 For information about our Debt Cancellation program, contact us at 800-676-1609 or info@evans-simpson.com.